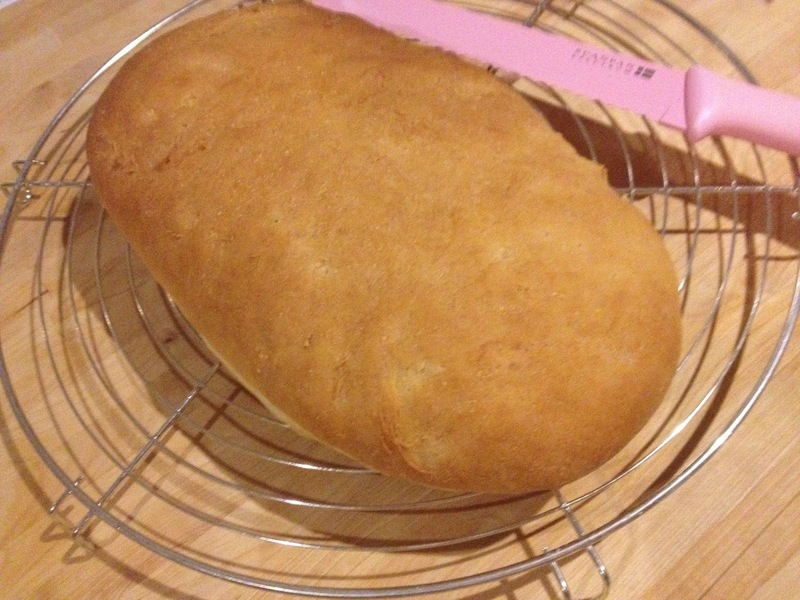 I hadn’t made bread before, but when I came across this simple recipe from Caroline Bretherton in her book “Step-by-Step Baking”, I could not resist not making it! 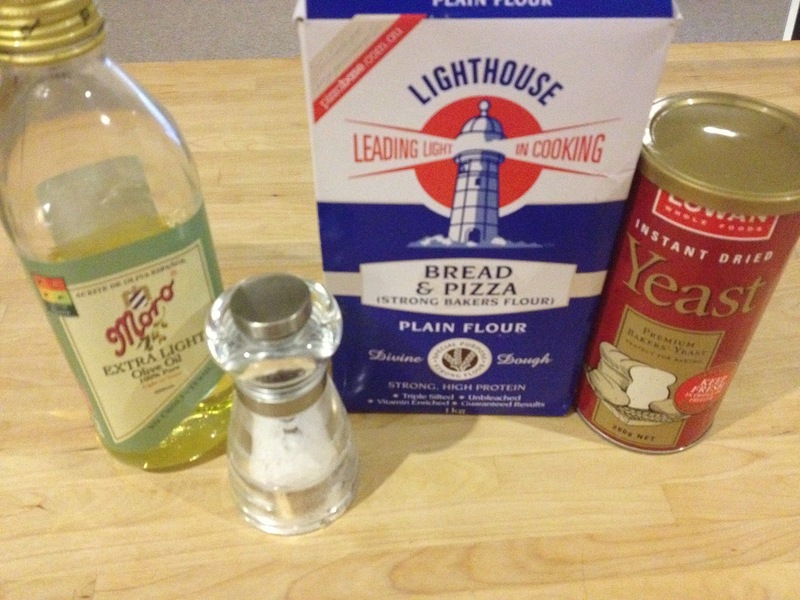 It’s so easy and you probably have 3 of the 4 ingredients already in your pantry! 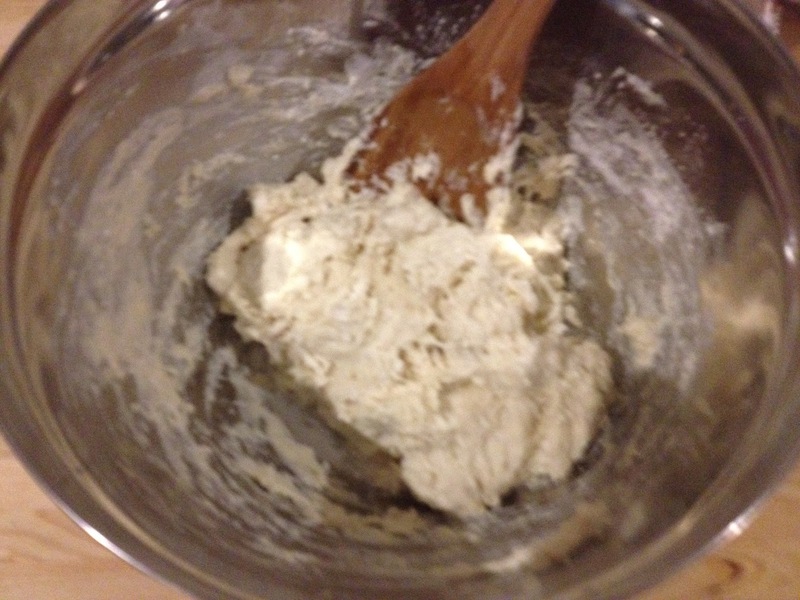 As an added bonus, you don’t need any mixers with a dough hook! 1. 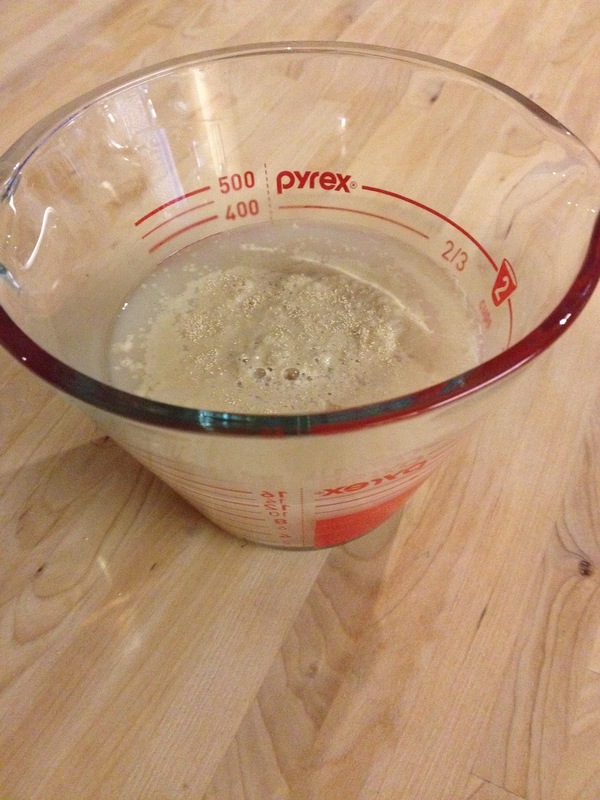 Dissolve yeast in 350ml of warm water. 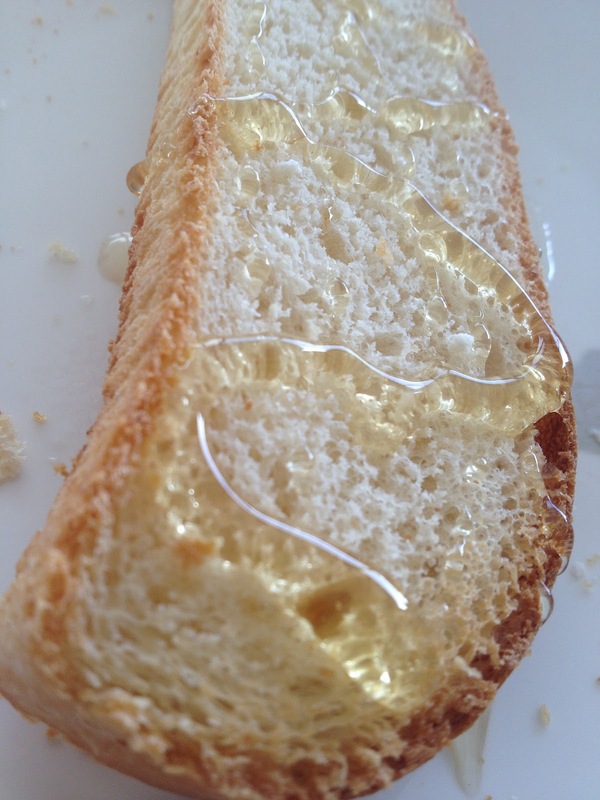 Then add the oil. 3. 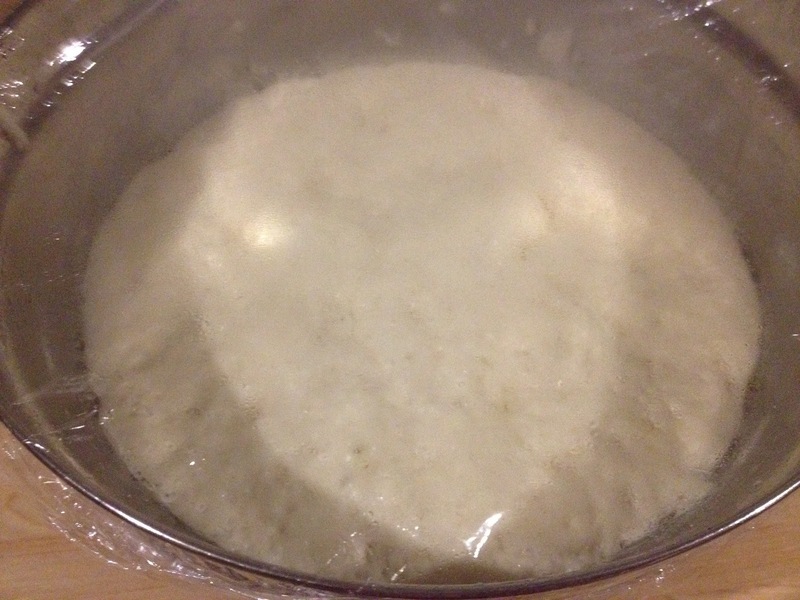 Add the wet ingredients and stir to form a rough sticky dough. 4. 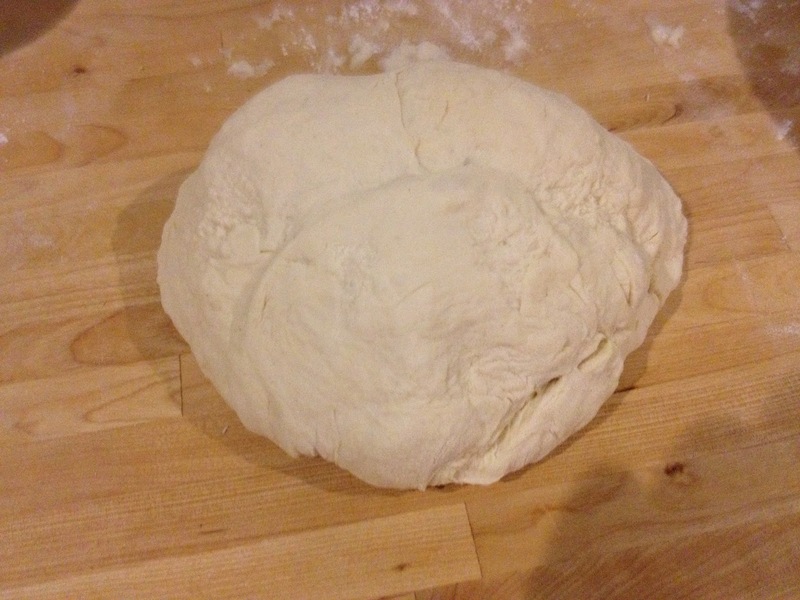 Place the dough on a flour-dusted surface and kneed it for 10 minutes, until the dough is smooth and well-formed (Add bits of flour if it’s too sticky). 5. 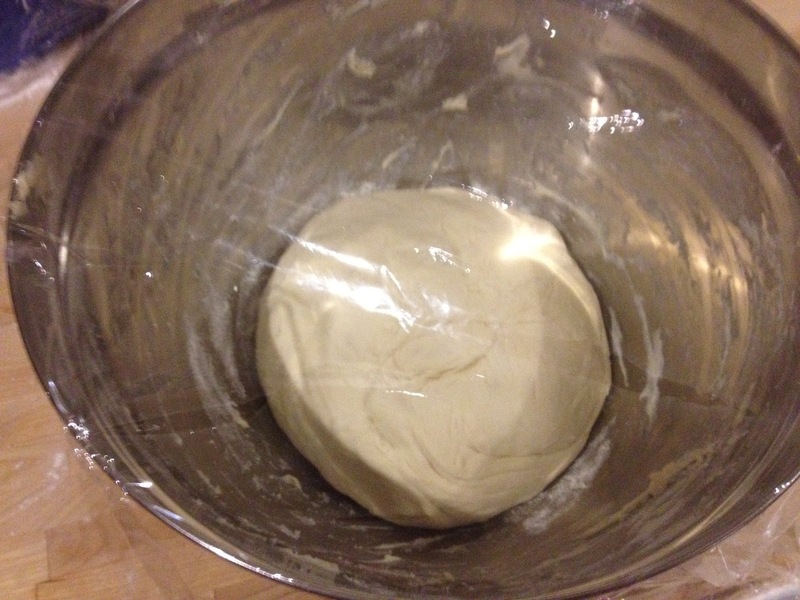 Place the dough in a bowl and cover it with Glad Wrap and leave it in a warm place for 2 hours. 6. 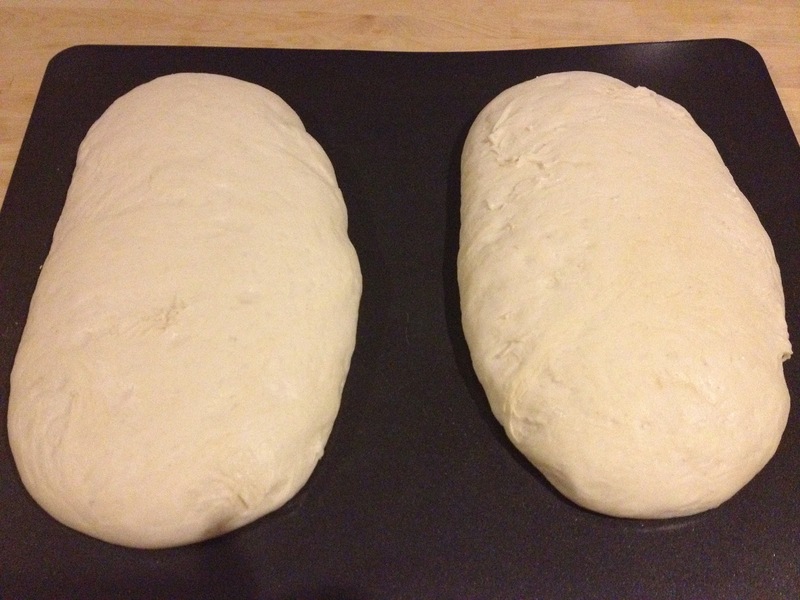 After the two hours, the dough will have risen to approximately twice its size. 7. 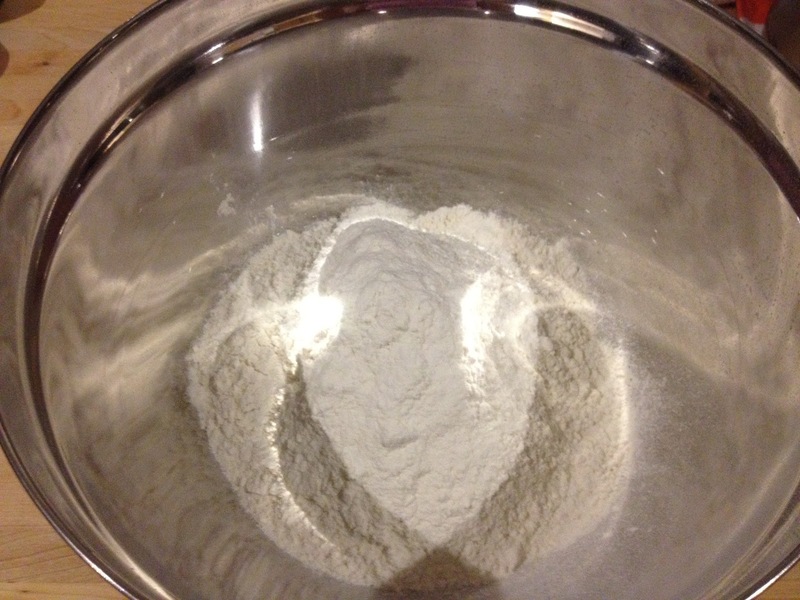 Return the dough to the floured surface and knock the dough back with your fists. 8. 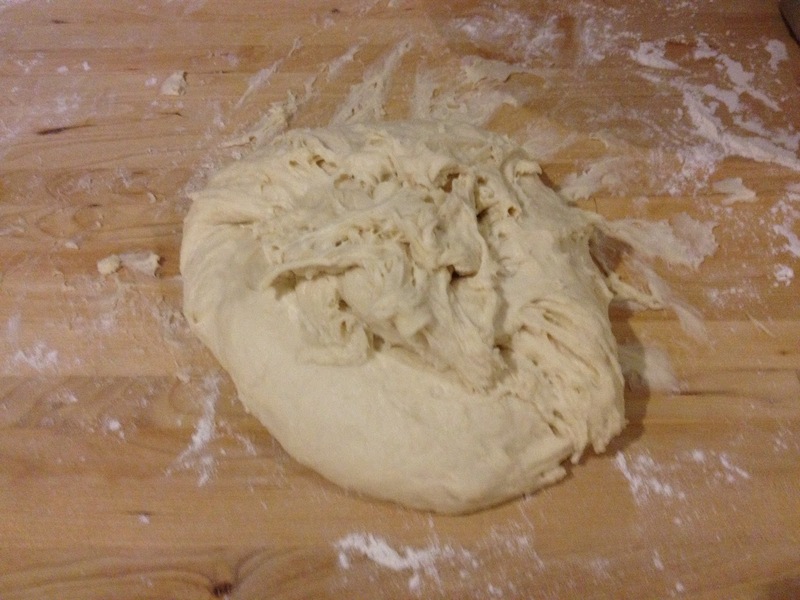 Knead the dough again for a few minutes until it’s smooth (Again, add bits of flour if it’s too sticky). 9. 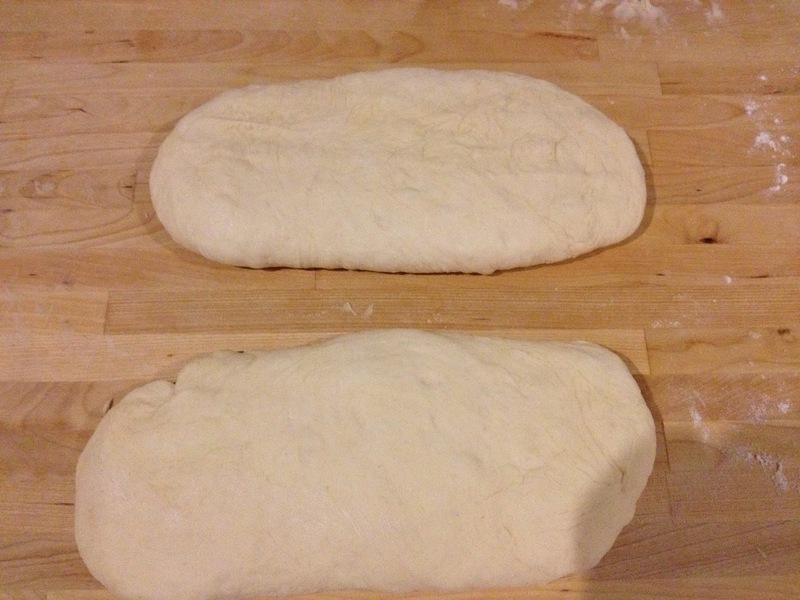 Divide the dough into two equal parts and shape them like a round-edged rectangle. 10. 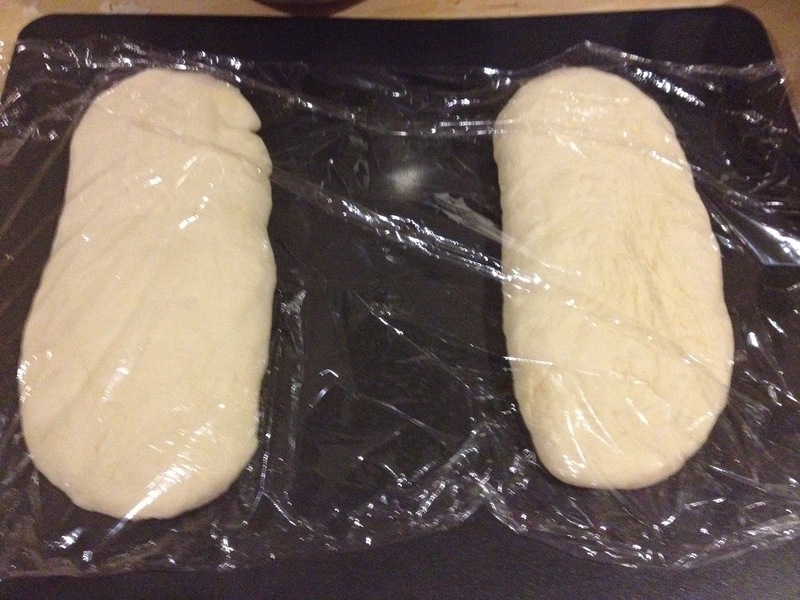 Place the doughs on a baking sheet and cover with a Glad Wrap loosely. Leave them for 30 minutes. 11. 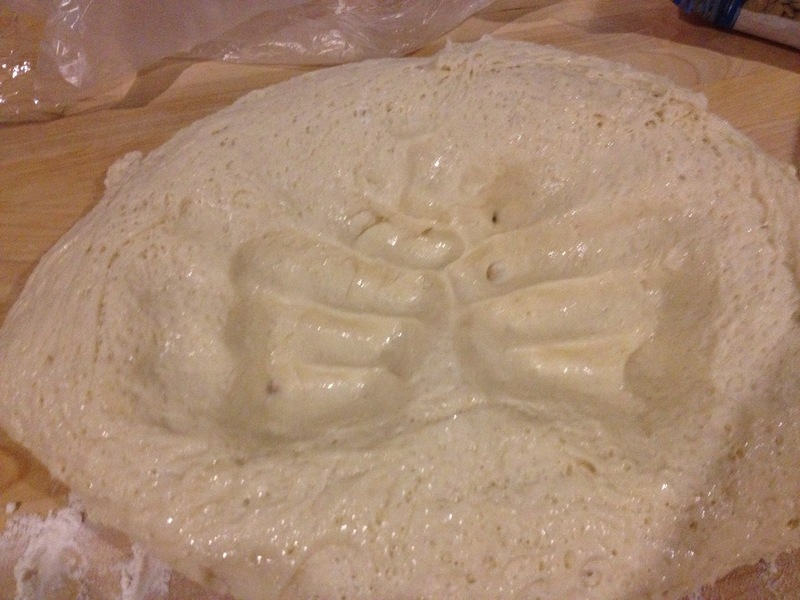 The doughs will have almost doubled as size again. 12. 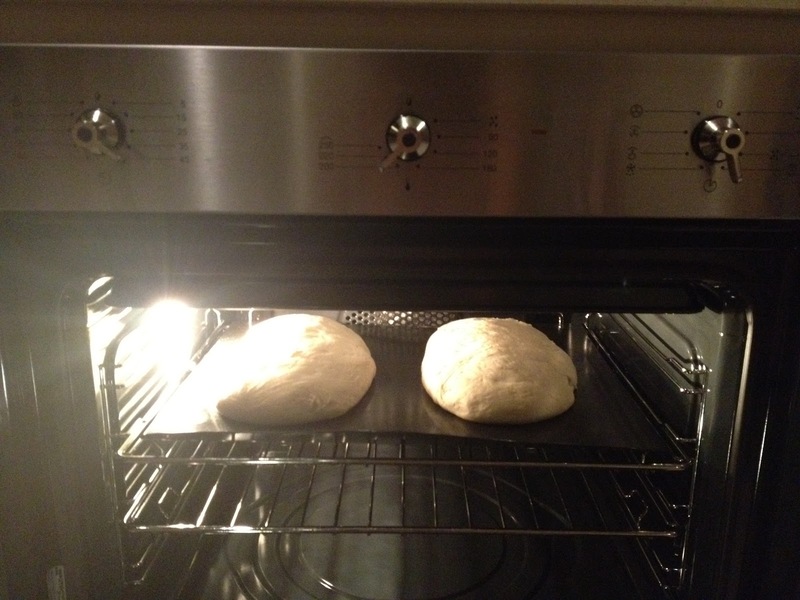 Cook in the oven at 230C for 30 minutes. 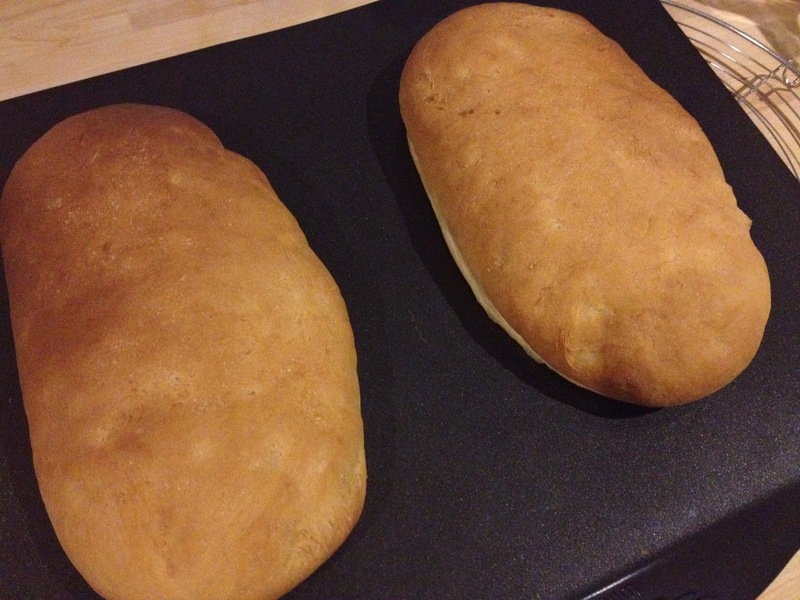 Spray with water before putting in the oven and afterwards, every 10 minutes. 13. 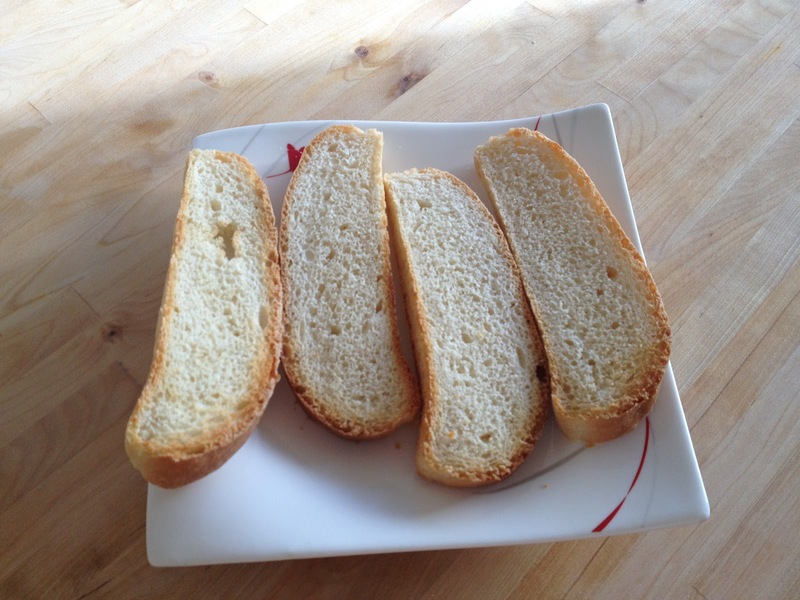 Place the breads on wire racks to cool before cutting. 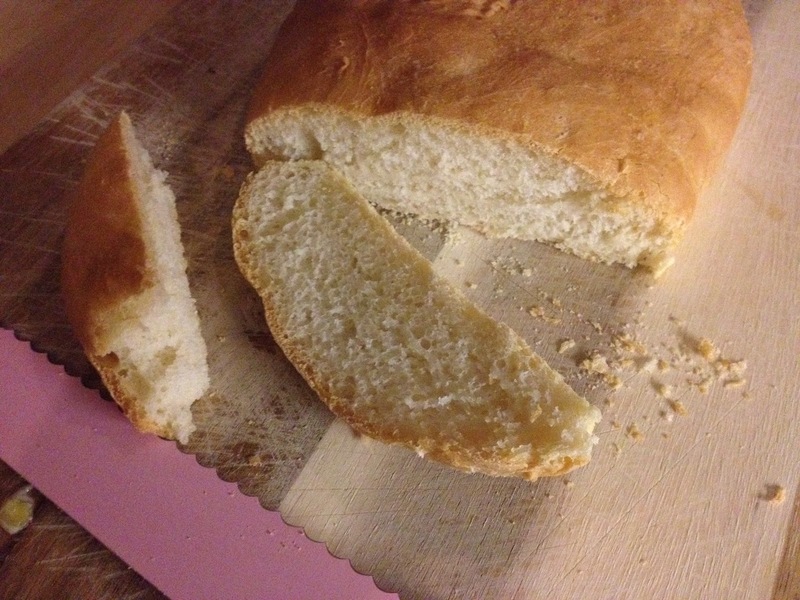 Posted in Bread, Cuisine, Food, ItalianTagged baking, bread, ciabatta, four ingredient, Italian, recipe, white breadBookmark the permalink.